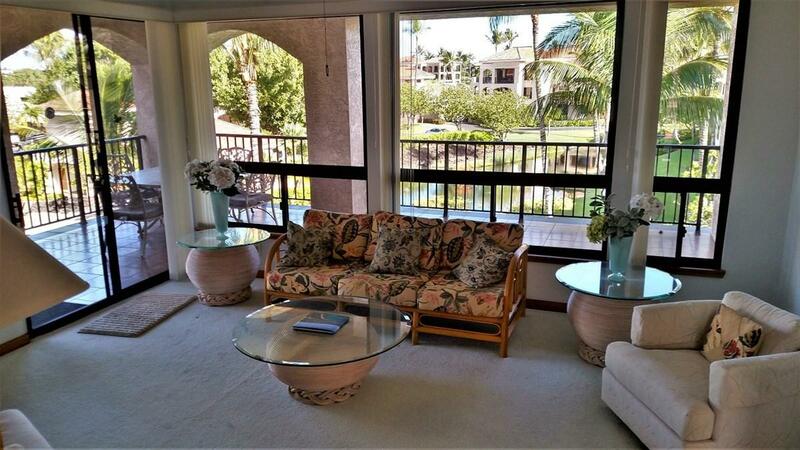 Banyan Tower Penthouse - 2B/ 2B corner unit # 326 is situated in the heart of The Shores community and provides a peaceful and quiet island lifestyle. 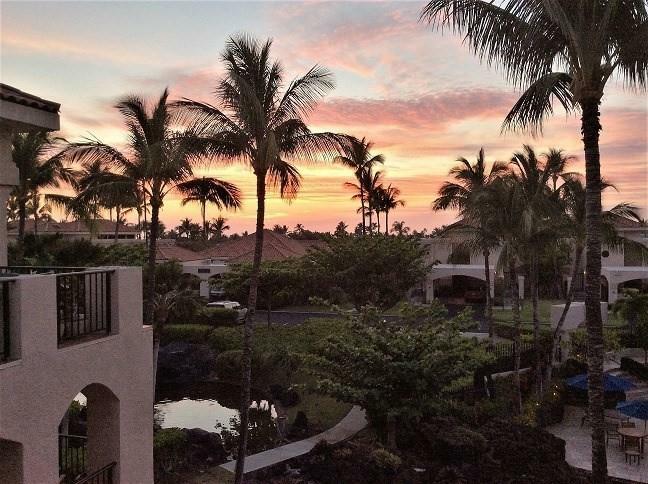 Lounging on the large 500 sq ft north and west facing wrap around lanai offers majestic sunrises and moon-rise's over Mauna Kea to the east and colorful sunsets and moon sets over the blue Pacific to the west. 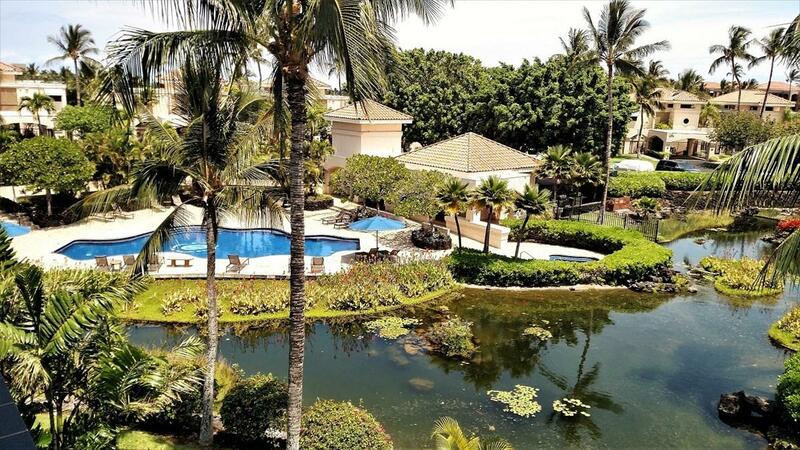 The tranquility of The Shores is felt throughout the day and evening as the sounds of The Shores comes to life, 20 feet below a small water fall trickles into one of the five koi ponds located within The Shores, the palm tress rustle in the trade winds as the chirping of the birds seem to be ever present. 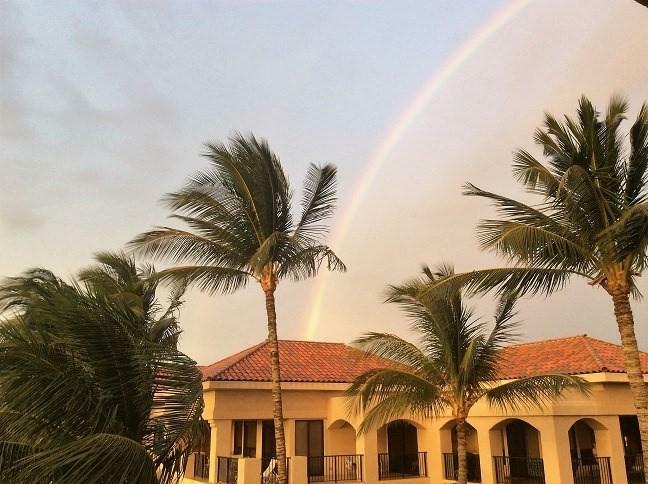 Even indoors, The Shores lifestyle is felt as the beauty of the community enters through numerous panoramic windows throughout the condo.This home has never been rented and is very clean and welcoming, the pride of ownership is felt throughout the home. There have been wonderful upgrades through the years including travertine floors in the kitchen and entry, remodeled kitchen with new cabinetry and granite counter tops, remodeled bathrooms and wet bar. The living rooms 11 ft vaulted ceiling adds an extra sense of space not felt on the lower floors. This home is being sold furnished....just bring a suitcase!The Shores is conveniently located minutes away from shopping, bars, restaurants, live music and entertainment at the Kings and Queenss shopping centers and is a simple stroll over to the famous white sand beach of Anaehoomalu Bay, or as we locals call it "A" Bay.This is a must see! !